Lying in order to get an AVO will now get you fined or put in jail after recent amendments to the law by Attorney General Greg Smith. False claims of violence or threatening behaviour will no longer be tolerated after new laws introduced by Mr Smith into Parliament on October 22nd. Due to the complicated nature of cases regarding domestic-violence disputes the new laws will not be applied to AVOs in this field. However, those considering AVOs to be a quick fix to neighbourly disputes or disliked colleagues will be made to think again when applicants will now have to declare that they know an allegation to be true before an AVO can be granted. 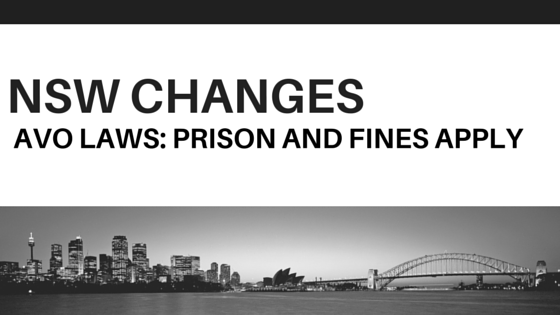 Those who offer false statements will face fines up to $1100 or up to 12 months in prison. All AVO applicants now have to declare commercial relationships and/or any history of legal proceedings that they may have with the person they are accusing. Legal ramifications will only apply to people who knowingly make a false statement when applying for an APVO, which will provide some protection to vulnerable applicants such as people with mental health problems or cognitive impairments, Mr Smith said. Last week's changes were designed to protect law-abiding citizens from false and vexatious APVO applications, said Mr Smith. Matters deemed appropriate to go through channels of mediation will be assigned by the court magistrates who also now have the power to allow court registrars to refuse applications. Included in the new laws is the formalisation of changes made by state government earlier this year giving senior Police the power to issue provisional domestic violence orders on-the-spot.